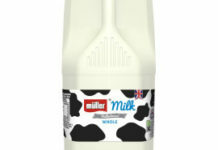 Oakland Distribution, a subsidiary of Oakland International, a multi temperature supply chain specialist in warehousing, distribution and logistics, has been selected by Müller Dairy to create and implement a new bespoke distribution scheme designed with the small wholesale client market in mind. Oakland International Strategic Development Manager, Pete Vaughan, explained: “The wholesale market is made up of businesses which generally represent a diverse section of the market, coping with challenges not usually experienced in the major retail sector. Initially the scheme will service twenty wholesale clients, covering all areas of the UK, with the option to add more and extend the scheme providing they have similar business profiles. Oakland has recently appointed Kendra McDowall-Gilbert to work on commercial opportunities in the wholesale market, taking responsibility for developing customer relationships to support Oakland’s new scheme. The scheme launched on 4th July to coincide with other Oakland ‘Independents Day’ initiatives.